Response: We found a strong association of dog ownership with reduced risk of early death, this association was especially noted in those living in single households. We also noted that owners of some breed groups had lower risks, such as owners to breeds originally bred for hunting purposes. Response: We are following up with studies on cardiovascular risk factors such as blood pressure. We are also comparing the gut microbiome between owners and non-owners. Further we are assessing acute cardiovascular risk after “loss-of-a-pet” due to acute disease. Response: We cannot really say whether the persons getting a dog have other habits and personal characteristics compared to non-owners already before getting a dog. These factors could have influenced our results. 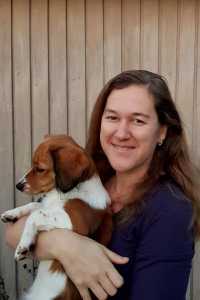 This entry was posted in Aging, Author Interviews, Lifestyle & Health and tagged aging, pet ownership, pets by Marie Benz MD FAAD. Bookmark the permalink.